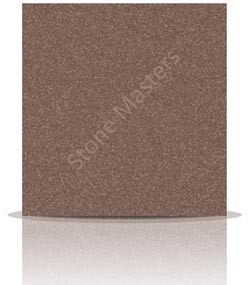 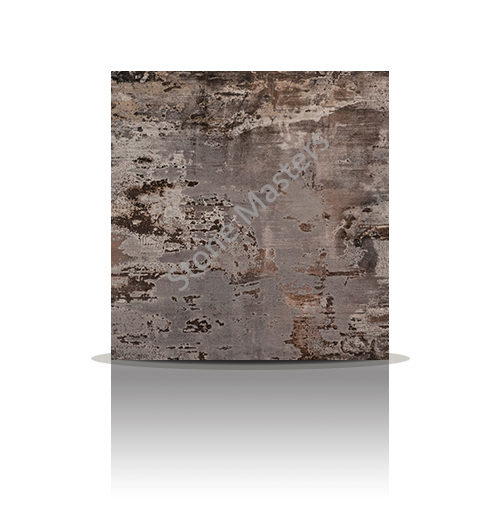 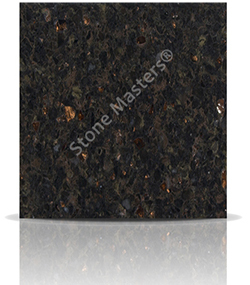 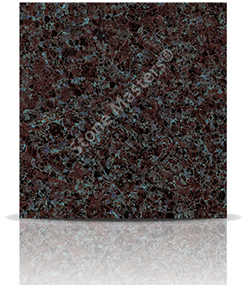 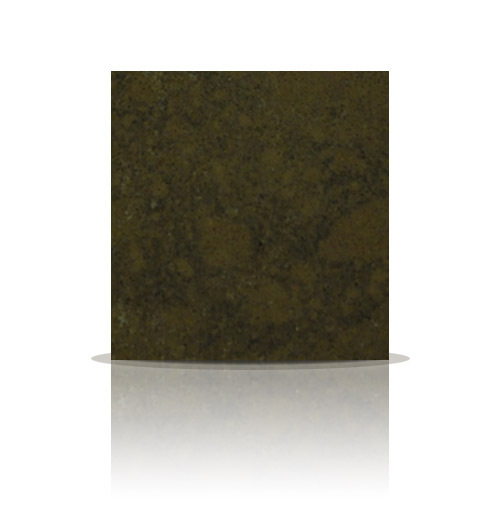 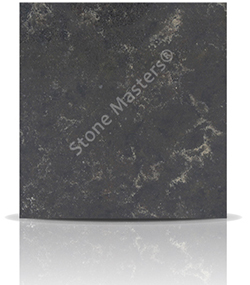 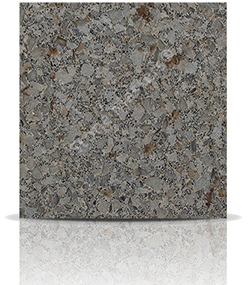 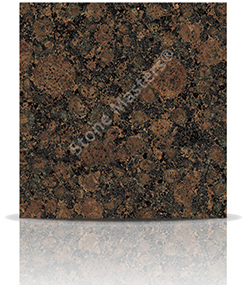 A dark brown base colour with tiny dots of lighter brown and deep red spread consistently throughout the stone. 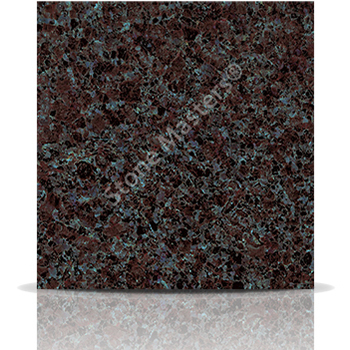 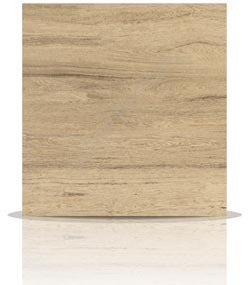 Dakota Mahogany granite is almost a non-wild alternative to the swirling Paridisso granite in that it would give yo ua more predictable worktop. 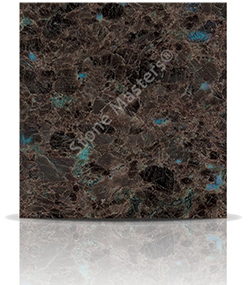 How much would a Granite Dakota Mahogany kitchen cost? Granite worktops are traditionally seen as the luxury option for kitchens. The popularity of Granite has certainly suffered as quartz surfaces have taken designers and architects by storm. 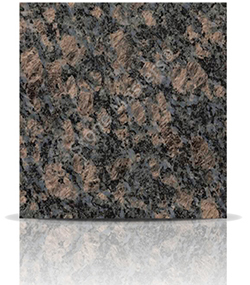 However, Granite is making a comeback; Granite Worktops buyers generally fall into two categories, those who like wild variation like to choose natural Granite, and those that like paint like consistency prefer quartz surfaces - which type are you? The granites offered in this section are generally popular and well known. We can offer samples for most of the granites shown, and in most cases, the sample will be a reasonable representation of the actual worktops you would receive in your home - don't expect it to be exactly the same however. 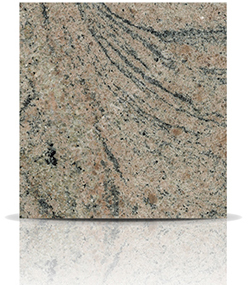 Please also consider our Exotic Granites range which contains less well known but spectacular granites that you will generally not see offered in kitchen studios.